In 1987 Paul W. Anderson, a Nobel Prize winner in Physics, proposed that high-temperature superconductivity, or loss of electrical resistance, is related to an exotic quantum state now known as quantum spin liquid. Magnetic materials are made up of very tiny magnets, which can be as small as individual electrons. The strength and direction of these are described by the magnetic moment. In quantum spin liquids, magnetic moments behave like a liquid and do not freeze or order even at absolute zero. These quantum states are being studied as promising materials for new, so-called topological quantum computers, in which operations are based on particle-like excited states found in quantum spin liquids. In addition to large computational power, a topological quantum computer is characterised by high fault tolerance, which makes it possible to increase the size of the computer. However, only a few quantum spin liquids suitable for topological quantum computers have been identified so far. Now, for the first time ever, researchers from Aalto University, Brazilian Center for Research in Physics (CBPF), Technical University of Braunschweig and Nagoya University have produced the superconductor-like quantum spin liquid predicted by Anderson. This is an important step towards understanding superconductors and quantum materials. The preparation of a quantum spin liquid was made possible by a new way of tailoring the properties of magnetic materials that was developed by chemists at Aalto University. The results of the research have been published in Nature Communications. High-temperature superconductors are copper oxides in which the copper ions form a square lattice so that the adjacent magnetic moments face in opposite directions. When this structure is disturbed by changing the oxidation state of copper, the material becomes superconducting. In the new research now published, the magnetic interactions of this square structure were modified with ions with a d10 and d0 electronic structure, which turned the material into a quantum spin liquid. "In the future, this new d10/d0 method can be utilised in many other magnetic materials, including various quantum materials", envisions Doctoral Candidate Otto Mustonen from Aalto University. Empirical detection of quantum spin liquids is difficult and requires extensive research infrastructure. "We used muon spin spectroscopy in the this study. 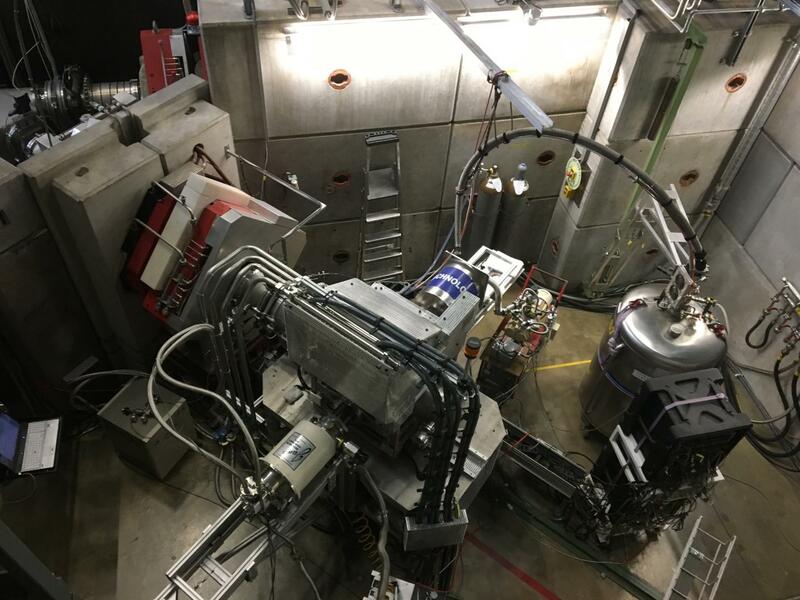 This method is based on the interaction of very short-lived, electron-like elementary particles, known as muons, with the material being studied. The method can detect very weak magnetic fields in quantum materials", says Professor F. Jochen Litterst from the Technical University of Braunschweig. The measurements were performed at the Paul Scherrer Institute in Switzerland. "In addition to top-class equipment, the research requires seamless cooperation between chemists and physicists", emphasises Professor Maarit Karppinen. "We're going to need the same international multidisciplinary approach in the future so that this research on quantum spin liquids can lead us to the experimental realization of the topological quantum computer."